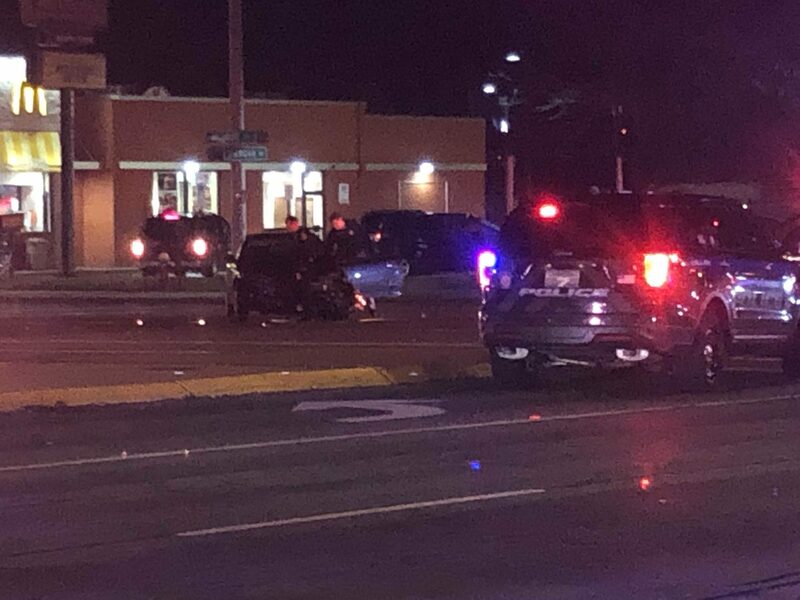 A Buffalo man was arrested and three people, including a police officer, suffered minor injuries Wednesday night as Amherst Police pursued a stolen car into the Town of Tonawanda, Amherst Police reported. Police said the incident began at Transit and Maple roads when officers spotted a stolen car from another jurisdiction. It rammed a patrol car, police said, and was pursued on Maple Road to Brighton Road, then southbound on Delaware Avenue. The stolen vehicle stopped after it hit another car at Delaware and Sheridan Drive. Police arrested the driver, Stephen J. Gebura, as he attempted to flee. Two people were taken to Kenmore Mercy Hospital with minor injuries from that accident, police said, and the officer sustained a hand injury when his vehicle was struck.